Home > Blog > Oh hey pretty patches! Say hello to our brand new embroidered patches! We launch the new collection with two designs which are perfect for Mother's Day (but we'll have many more to come in the future)! 'Mother Unlike Any Other' has been embroidered in black thread on a beautiful blush pink felt background with easy to iron on backing. 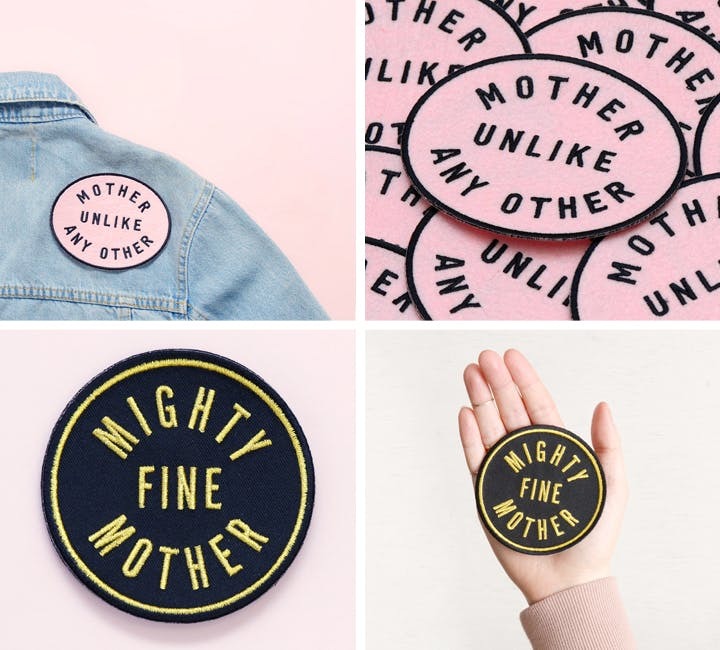 A lovely embroidered felt patch for all the mamas doing it their own way! 'Mighty Fine Mother' has been embroidered in metallic gold thread on a black twill background. A lovely little gift for all those mighty fine mothers out there! Our patches are perfect for jazzing up jackets, totes, backpacks and all sorts of other items. They are the ideal size for popping inside a birthday or Mother's Day card as a little extra treat! They will be supplied with a card detailing application instructions. As well as selling the patches individually we are also offering them ready-applied to our lovely canvas pouches and makeup bags! 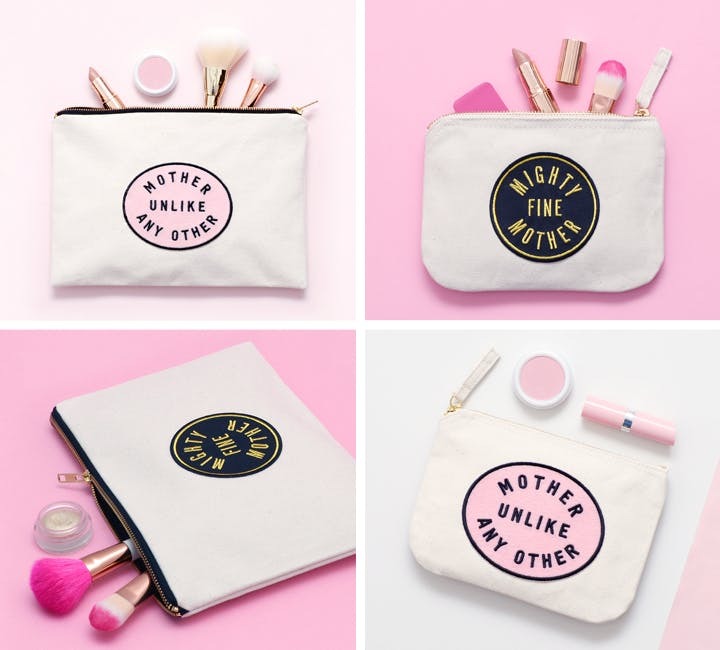 Stuff these pouches full of little treats and voila!, a perfect gift for a perfect mum! 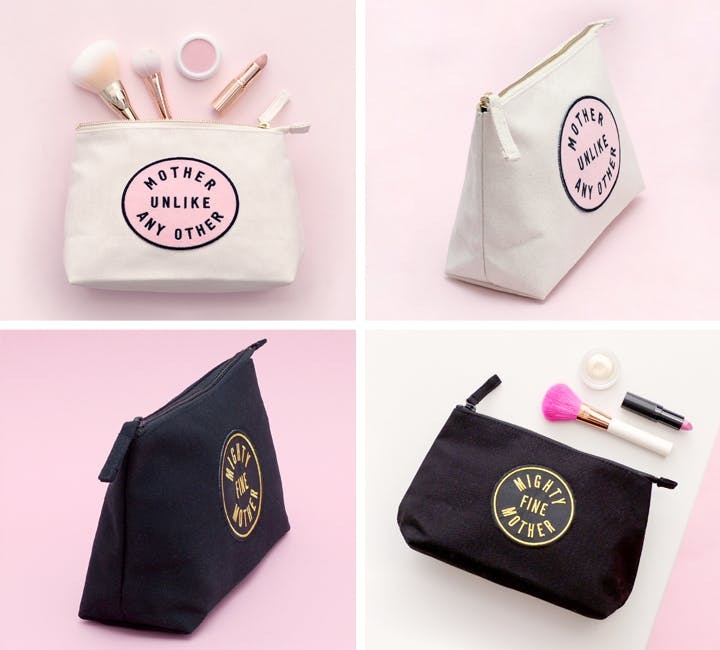 Our little and large canvas pouches are extremely versatile, they make a stylish clutch, are perfect for carrying handbag essentials, ideal for storing makeup and are terribly useful when travelling. These lovely patches are also available applied to our brand new black and natural makeup bags. This new style is perfect for when out and about and are just the right size for all your makeup essentials. With their waterproof lining they make a great little wash bag too. We hope you like our new patches as much as we do! You can see the full collection by clicking here. We're really looking forward to working on many more designs to turn into patches soon!